Following the consultation by Canterbury City Council on possible amendments to the Local Plan relating to the five-year housing land supply and the further work that the Council has undertaken at the request of the Inspector, he has decided to progress his examination of the Plan. Accordingly, the Stage 2 hearings have been programmed. See this link https://www.canterbury.gov.uk/planning/local-plan/emerging-local-plan/local-plan-latest-news/ for an updated list of the Inspector’s Matters, Issues and Questions for Stage 2 (dated 16 May 2016), a draft Programme for the further hearings (including names of attendees) and the Inspector’s Additional Guidance Notes for Stage 2. The latter should be read alongside the initial Guidance Notes issued at Stage 1. Please note that the Additional Guidance Notes provide the deadlines for submission of any further statements, which should be limited to the Stage 2 Matters, Issues and Questions. Hopefully many of you were able to attend the Public Meeting earlier this week – links to more details in the poster below below in case you weren’t – NB closing date for objections is Friday 18th March. Campaigners in Whitstable have formally begun legal proceedings against Canterbury City Council over their mis-selling of a prime piece of much-valued town centre, sea front land. An application for a Judicial Review of Canterbury City Council’s decision to enter into a contract for sale, subject to planning permission, of the land known as the Oval, at Sea Wall, Whitstable was lodged on Wednesday 17th February in the Administrative Court, within the Queen’s Bench Division of the High Court of Justice in London. A judge is requested both to declare that the Oval is legal open space and to quash the sale contract. Failure to comply with the legal requirements for the disposal of open space land. Entering into a contract that failed to fully accord with the expressed instruction of the council’s executive committee. Excessive secrecy of the resolution-making meeting. Failure to obtain best value for the land sold. Breach of the public sector equality duty in regard to disabled access to the site. Campaigners also gave an initial comment on new planning application from Sea Street Developments Ltd. published on February 18th. The WS Chair advised: “The council’s head of legal services, Sarah Bowman, told councillors last week that she is likely to spend over £20,000 on barrister fees to fight our claim, so nobody should assume we will win our case quickly or easily. Therefore, we urge the public to examine the new planning application for the site (CA//16/00375) and to send their views to the council’s Planning Department before the Friday 18th March deadline”. 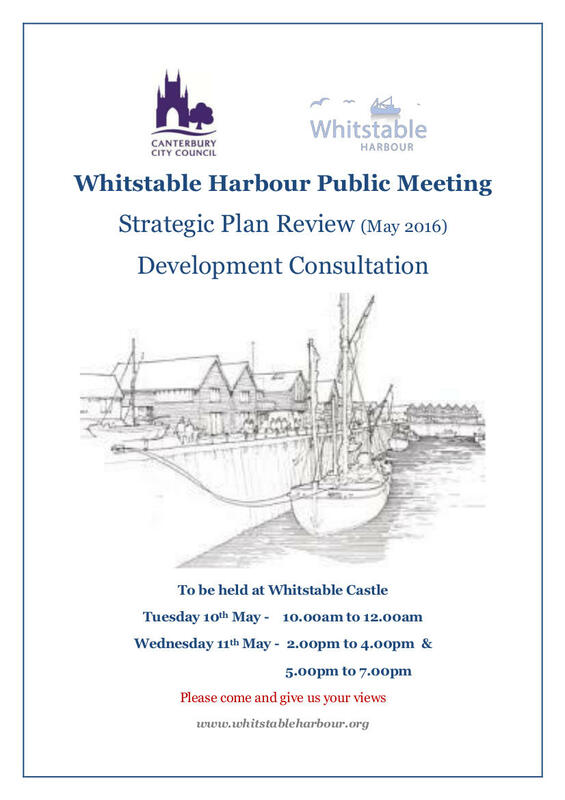 A fuller statement from the Campaign on the new planning application will be released late next week after the Whitstable Society and the Oval Chalet Preservation Community Group have had the opportunity to examine the plans closely. Footnote: The Claim and witness statements can be accessed at https://www.dropbox.com/sh/yfs02wpjuauhewn/AACG606q2qa-rC5Ki-kMW_mRa?dl=0 . The planning policies covering the Oval and the Tile Warehouse combined site can be found under Tab 1, page 35, where they are detailed for the judge. For further information about this press release, contact Graham Cox 01233 645520 / 077110 79369 from Feb 22nd, or planning@whitstablesociety.info before then.